Pheromone traps throughout AL have caught high numbers of soybean looper moths in recent weeks. As more and more larvae are being identified in soybean crops, threshold levels are approaching. Pest Patrol entomologist Dr. Ron Smith reports on treatment solutions in his latest alert. Soybean loopers are late-season pests that tend to arrive in large numbers around August or September. Moths are usually dark brown with a distinct “figure-8” shape near the center of the forewings, and larvae are green with white stripes that run along the length of the body on either side. According to the University of Florida, the soybean looper has an unusual defoliation pattern, feeding from the lower inside canopy and then moving up and outwards. Although these pests don’t cause severe pod damage, their feeding can cause serious foliage injury, which can be equally damaging to yields. Actively scout fields for soybean looper eggs and moths throughout the season to help pinpoint the infestation before severe damage occurs. 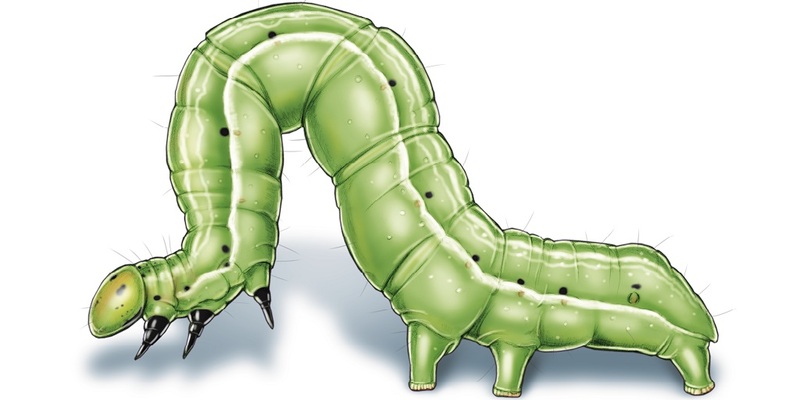 Louisiana State University reports that the soybean looper has developed resistance to certain insecticide chemistries, so effective control measures are primarily limited to lepidopteran-specific insecticides. When local thresholds are reached, we recommend Besiege® insecticide, which provides excellent knockdown control of a broad spectrum of the most difficult-to-control lepidopteran pests, including soybean looper. For more pest alerts from entomologist Dr. Ron Smith, check out his Pest Patrol page.